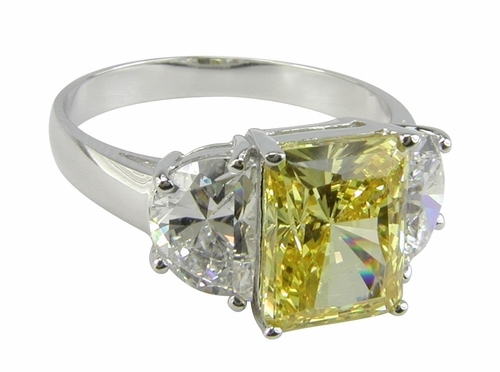 The Mezza Luna Radiant Emerald Cut Canary Half Moons Engagement Ring features a 2.5 carat 9x7 mm Emerald Radiant Canary, also available with a white diamond look center stone as well. This three stone engagement ring style includes custom cut 1 carat each radiant faceted 7x5 mm half moons set on each side in proportion to the radiant emerald center stone. Half moon stones, like the ones set in this three stone ring, are typically custom cut and reserved for very high end fine jewelry designs. Each stone in this great ring is hand cut and hand polished to genuine diamond specifications and originate from the finest Russian formula cubic zirconia. The band on this mounting measures approximately 3mm at its widest point. 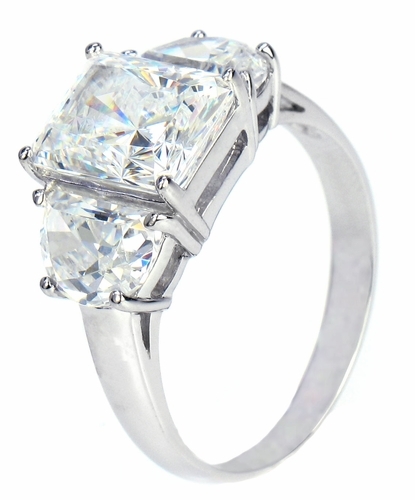 The total carat weight is 4.5 carats of the finest lab created man made diamond simulants. 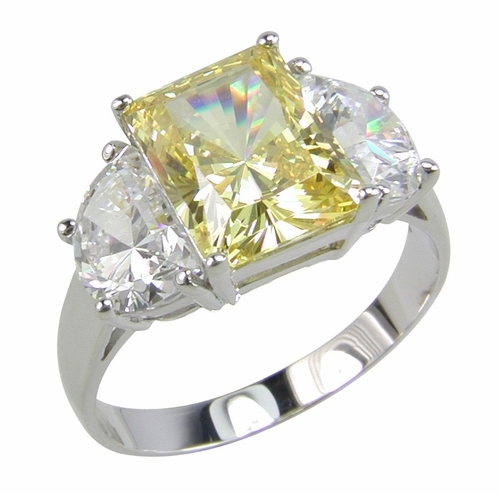 This ring is shown in 14k white gold but you can special order it in 14k yellow gold, 18k gold or precious Platinum. 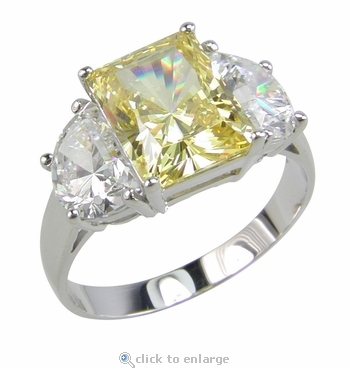 Available in radiant canary yellow and white diamond look center stone options, please see drop down menu. Due to extremely low pricing, all clearance items are a final sale. Clearance items are available in certain finger size(s). They may be sized for an additional fee. See the sizing options window. 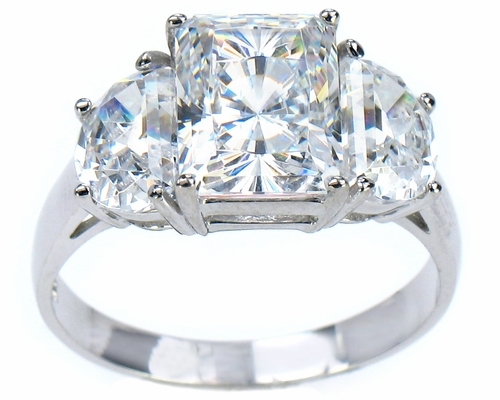 Sizes below a 5 or above an 8 can be made via Special Order, Call 1-866-ZIAMOND for a quote.